ABC has appointed Helen Clifton to the new role of chief digital and information officer, a role considered "vital to the future development of the ABC," according to managing director Michelle Guthrie. “Like all media organisations, the ABC is undergoing a great period of transformation and is faced with a fast moving technological environment it must stay ahead of so it can remain an innovative and unique source of content,” Guthrie said. Guthrie said Clifton, who brings a dynamic range of skills and abilities to the role, has a thirty-year media career across the UK, the Middle East and New Zealand. Since 2007 she has played a crucial role at TVNZ in Auckland as chief product and information officer where she was responsible for major business transformation and delivering the company’s largest technology projects. Beginning her career in the UK, Clifton held many roles in television production and operations management including studio manager at LWT Granada’s London studios and director of operations for Aljazeera English Channel in Doha, Qatar where she led the team that delivered the first HD 24/7 global news channel from four broadcast centres around the world. 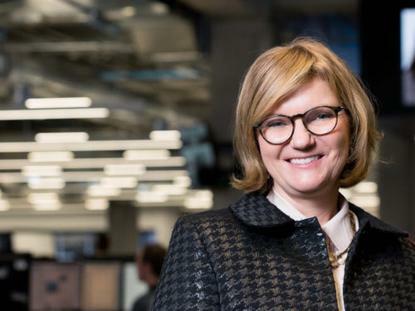 The ABC’s chief financial officer, Louise Higgins, will continue acting as chief technology officer until Clifton joins the ABC in September.